Cars are set up for one of three disciplines, drift allows you to power slide around corners, grip keeps you steady, and balanced allows for a mix of the two. 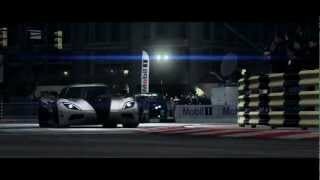 Throughout the campaign you are sometimes given the choice of two cars with which you will participate in the next event. You will be able to unlock the other one later through one of the vehicle challenges. Each car handles noticeably differently, and you will definitely need to alter your driving style based on which car you are driving, and which event you are entering. The AI is fairly good, with some drivers being more aggressive than others based on their status. The difficulty level varies though, and you will usually leave the pack behind in longer races. For experienced racers I would definitely recommend playing the game on Hard, as I found myself winning just about every event on Medium, without much effort. If you find yourself driving the same car a lot, but don’t like how it looks, there are extensive options for customizing the look of your vehicle. Dozens of liveries are available, all the colours you can think of, plenty of wheels, as well as different paint types like gloss, metallic, pearlescent and so on. As we are always reminded when new hardware is unveiled, you can render beautifully realistic cars using computers. Grid 2 is no exception, as you will be seeing not only some of the best looking cars to be found in video games, but also gorgeous environments surrounding each track. Smoke billows from screeching tyres, dust flies up from the side of the road and bits of newspaper get caught in the updraft of the speeding racers. If you really look closely at some of the crowd models it doesn’t look quite as good, but in the heat of the moment the graphics are really top notch. Not only that, but the game runs smoothly with a stable frame rate in all but the most catastrophic of car pileups. The extra detail comes at a price that some fans may be disappointed with. Codemasters has removed the in-car view from Grid 2, however in a game that doesn’t lean towards simulation in the same way that Gran Turismo or Formula One games do, I didn’t find the omission much of an issue. Multiplayer is as you would expect, with you competing against other humans through all of the available game modes. The new Racenet feature allows you to link your profiles across all supported Codemasters racing games to track stats, check out your friends’ profiles and issue them challenges from within the game. Achieving better results in multiplayer gets you higher experience points and more money. This money is used for upgrading your existing vehicles. Doing this can sometimes be more cost effective than simply buying a better car. Getting into a multiplayer lobby is easy enough, and features a veto system for tracks you don’t want to drive. Some events are better suited to multiplayer than others. For example, in the few game types where you are pitted against just one other driver, if there isn’t an even number of people in the multiplayer lobby, one player will have to play against a computer opponent. You will also have to put up with the ridiculously high aggression that most players online drive with. If you deal with the first corner of every race being utter carnage, then the rest of the multiplayer experience is generally good. Grid 2 is a game that sees you go from humble beginnings to being a global superstar. This acts as a metaphor for the game itself, which starts out slow but picks up speed as it goes. Once you are a few hours into the career mode, with plenty of cars unlocked and all game modes available to you, the gameplay is just about unmatched in the touring car genre. The multiplayer is fun and features a good sense of progression which is separate from the single player. All of this combined with excellent presentation makes for game that I would recommend to anyone looking for a fresh racing experience. One of the best looking games out there. 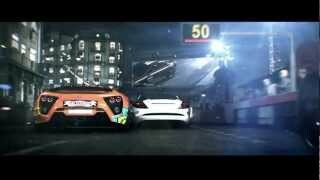 A good mix of arcade and simulation racing, with each car handling a little differently. The progression starts off slow with some inferior cars, but gets a lot better after a rocky start. High aggression and skill level from other players may put off those looking for a quick multiplayer driving experience. Runs at a decent frame rate, but suffers from a bit of slowdown when there is a lot of action on screen. 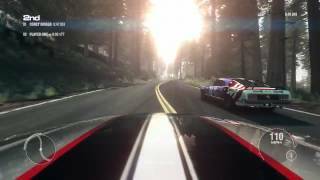 Grid 2 is a game that is fairly strong across the board, yet doesn�t excel in any particular area. Some fans may be disappointed with changes made since the first game, but I wasn�t, and there is enough appeal here for new players to give it a test drive.